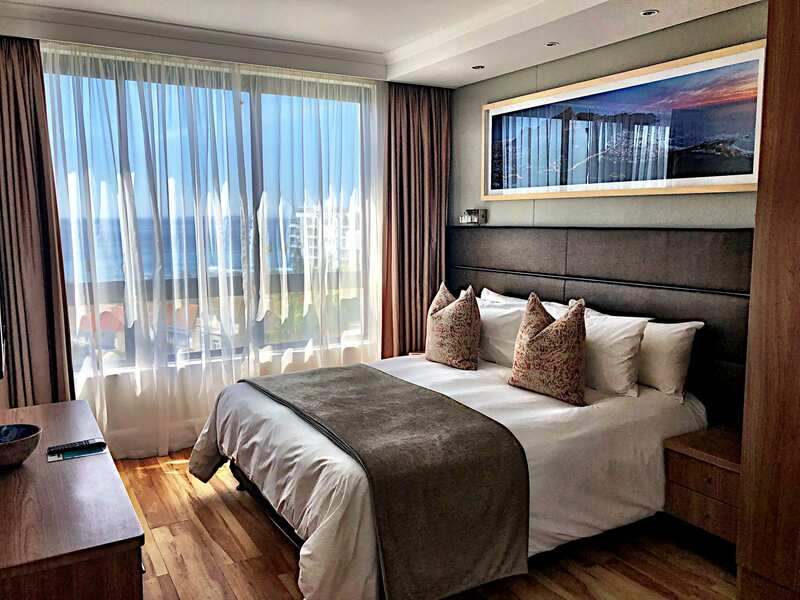 The President Hotel in Bantry Bay is ready to welcome guests with a smart new look | Eat. Play. Drink. Cape Town. 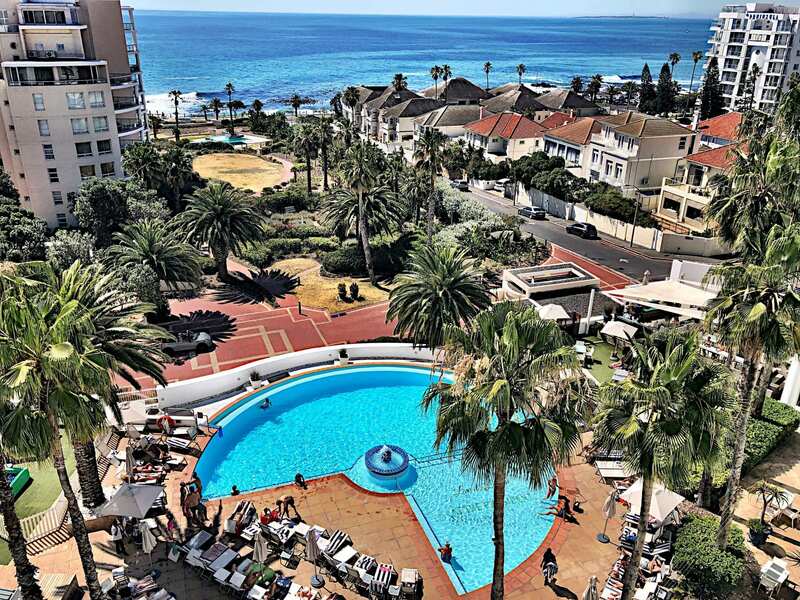 ONE of the oldest properties on the Atlantic seaboard, The President Hotel was reopened by its namesake, former President Nelson Mandela, in 1998. 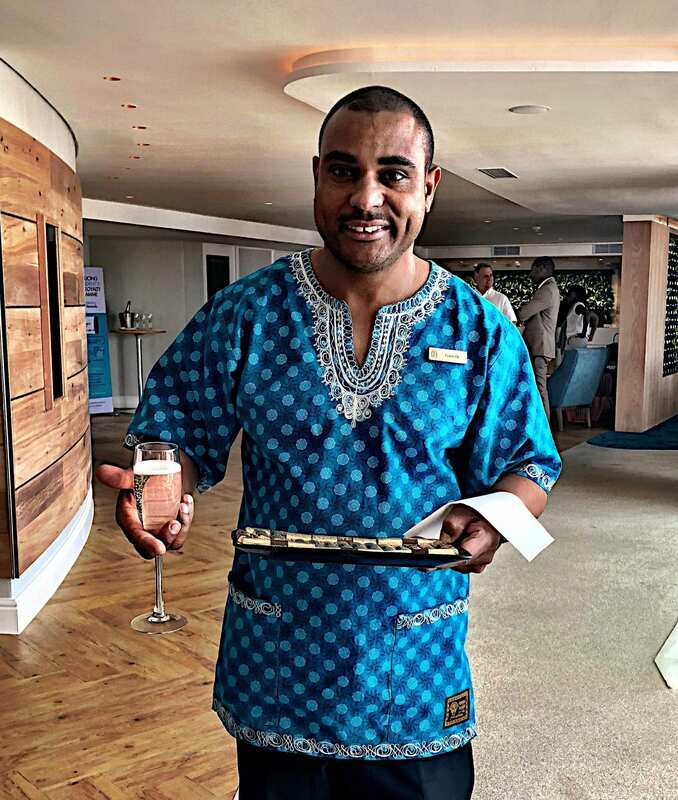 It once welcomed guests like Lady Anne and Andrew Barnard, secretary to the Cape Government way back in 1797; today it is freshly revamped with a cool and elegant facelift which puts a modern spin on African cultural influences with bespoke finishing and sustainable details. Stripping away all those fancy words, it is, quite simply, beautiful. The famous adage of “location, location, location” applies here, at the juncture of Sea Point and Bantry Bay. 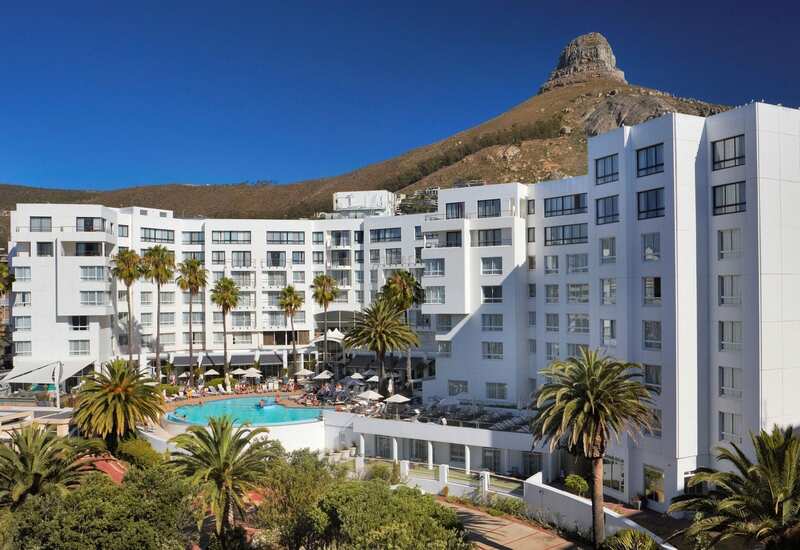 It is convenient for exploring many Cape Town highlights – the Promenade, V&A Waterfront, and beaches as well as the city itself and of course Table Mountain. As an added bonus for guests, this part of the world is almost completely sheltered from the notorious summer South Easter which can ruin many a holidaymaker’s day. This means you can lounge by the pool in comfort and style without having your cocktail blown out your hand. This offer extends to day visitors as well as hotel guests; for R150 (which is offset against food and drinks and subject to availability) you get to live the high life for a few hours, which is great news going into summer. The hotel has also just launched its fab loyalty programme which earns you points every time you eat or drink, and gives you VIP benefits like sign-up credit, a birthday voucher, and exclusive monthly special offers and promotions. Frankly, I see no down-side to any of this. The stayover began in fine – and appropriate – style with the service in the lobby of a glass of chilled bubbles and a platter of chocolates. Some people just know the right way to my heart. Up in the top floor suite, which overlooked the pool and glittering Atlantic Ocean, more treats awaited…an excellent bottle of wine, sugar-free cool drinks (paper straws), and a generous platter of snacks created with dietary requirements in mind. This is the kind of attention to detail that makes one feel like royalty. The suite was decorated in soft, neutral hues, uncluttered and unfussy, with subtle details like the lovely pink Protea bowl on the glass table in the lounge, and a cunning and aesthetically pleasing slender-necked desk lamp with touch control. A free smartphone with basic useful functions is on the desk for your convenience (a welcome touch for overseas guests I’m sure, who are saved the hassle of local SIM cards). On the walls are stunning photographs by Sacha Specker, depicting Cape Town in all its fabulous glory. Additionally, large scale wallpaper photographs and glass mounted images line the corridors, creating an exhibition that is intended to inspire guests to get out there themselves and explore the city and all it has to offer. Themes include landscapes, ocean, fauna, flora, culture, and Madiba himself. “While only a small fraction of the incredible sights and destinations you can experience, each piece will provide a window into the opportunities one can have in and around Cape Town,” shares Specker. British chef Phil Alcock joined the hotel about six months ago and has revamped the menu to go along with the overall new look. The poolside restaurant is open all day so you can eat whenever the pangs strike. 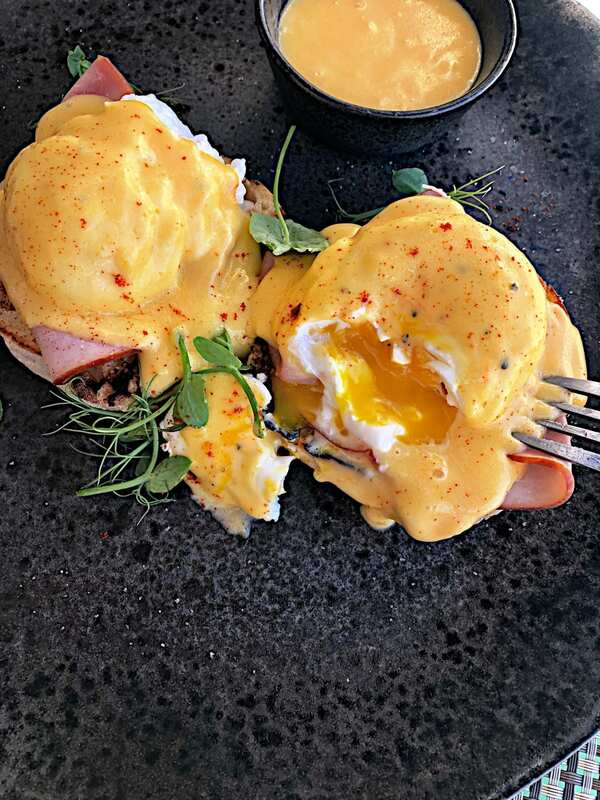 It’s also where breakfast is served: an extensive buffet which is the norm at hotels, but if you know who to ask, they’ll make you some poached eggs with lots of Hollandaise sauce. Besides the loyalty programme, The President has also put together some super duper discount packages and family deals for those travelling with children this season. These include welcome packs for the little ones, menus, an all-inclusive entertainment area complete with a jungle gym, tee pees, jumping castle and ball pit, dedicated child minders, and more. Check out the website for more information. See you at the pool!